March | 2013 | How to love Igbo things (or what you will). Achebe: A great tree has fallen. Today, I’ll be on Focus on Africa TV from about 5.30pm GMT. I’ll be talking about Achebe and his influence on my life and our society. It’s just for about three minutes so if you blink, you’ll miss it. In other words, don’t miss it. I haven’t done an Achebe post yet but I will do because love him, hate him or be indifferent to him, Prof Chinua Achebe made a difference. Back Back to Cali Cali. I have been gone quite a while and I am sorry. In my defence, I was only following the advice from a certain Dr friend of mine and trying to put down my stories on other media…other paying media. I love blogging though, I love the instant feedback you get from blogging. It’s such a beautiful place to find out what people think/like/feel/hate and it’s often where I try out new styles of writing. You have all been wonderful in this regard and I feel like I have failed you by cutting back on blogging time – yes, even if I am juggling other things. I am off to do penance for my sins. A nice bit of self-flagellation should do the trick. Or any flagellation really, haw, haw haw. So I saw this in the afternoon (when I was supposed to be working, never you mind) and after rolling my eyes, I thought I should ask. I don’t know everything after all. 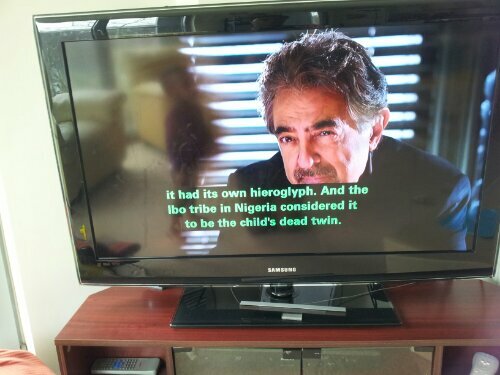 According to this episode of Criminal Minds, Igbo tribeswomen believe that the placenta is the child’s dead twin (in the womb naturally) and revere it as such. Biko, does this happen in your village? Enquiring minds want to know.